Built For Life... Built With A Vision. Unwilling to compromise, Body-Solid products feature materials and component parts of only the highest quality and durability available. When you add up all the reasons, the choice becomes clear. 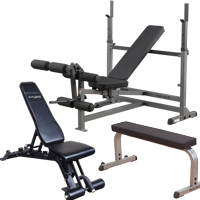 Body-Solid Inc. is a leading manufacturer and distributor of high quality fitness equipment for the home and commercial markets. 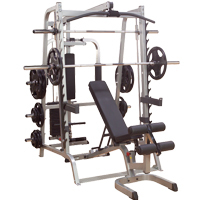 With over 25 years of experience, Body-Solid offers one of the widest arrays of products in the industry including multi-station gyms, free weight machines, a complete line of cardiovascular products, weight plates, kettle bells, dumb bells and fitness accessories. Custom Quotes Available. For any Questions Call us at 1-800-472-1296 - Text Us 386-220-3375 - or Email through our Contact Page.